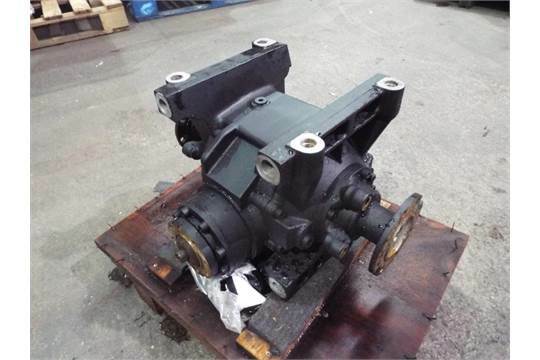 You are bidding on an Unissued Hagglunds Bevel Gear Unit P/No 2 0171-340. It has not been tried or tested by us and is sold as seen. There is no warranty. PLEASE NOTE THIS AUCTION IS FOR UK BIDDERS ONLY. NO OVERSEAS BIDS WILL BE ACCEPTED. VAT WILL BE ADDED TO THE FINAL PRICE. THERE IS A 10% BUYERS PREMIUM ON THIS LOT. ANY MILITARY ITEMS WILL REQUIRE A FULL EXPORT LICENCE IF SOLD OUTSIDE OF THE UK AT A CHARGE OF £300 PER ITEM. YOU ARE BIDDING TO BUY AND ONCE YOU HAVE PLACED YOUR BIDS AND AGREED TO THE TERMS AND CONDITIONS THEY CANNOT BE CHANGED. IF YOU DO NOT WISH TO BUY DO NOT BID. RESERVES CAN BE ALTERED AT ANY POINT UP UNTIL THE CLOSE OF AUCTION. NO WARRANTY IS OFFERED OR IMPLIED IT IS BOUGHT AS SOLD AND SEEN VIEWING IS WELCOME AND RECOMMENDED. All bids are plus VAT. NO handling/loading charges. Once the auction item has ended you will recieve an invoice the following working day by email. Full payment must be made within three days from the date of the invoice and removal within 7 days. All items are located at the following site: Witham Specialist Vehicles Ltd, Honeypot Lane, Colsterworth, Lincs NG33 5LY. The following payment methods are accepted: bank transfer, cash up to £9000 with I.D., debit card in person with I.D., credit card up to an amount of £150. Payments can be taken over the phone on a credit card up to £150 or debit card up to £500. Items will not be available for collection until the funds have cleared.